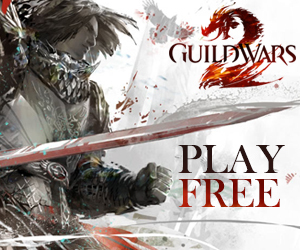 How much expansion will Guild Wars 2’s upcoming expansion pack actually achieve? Heart of Thorns is set to encompass the remainder of the Maguuma Jungle region, which, when compared to the size of the current playable game space, is not an incredibly huge area. However, ArenaNet Game Director Colin Johanson has stated on numerous occasions that ArenaNet’s goal with Heart of Thorns is to supply a far greater amount of content in a much smaller space than is currently the norm in other games. Basically, ArenaNet knows the Maguuma Jungle area might be relatively small in terms of an expansion, but they plan to supplement this perceived weakness by making each zone far more content dense than any of the maps currently available. But what is the “Maguuma Jungle?” What does that name entail, exactly? Well, your immediate answer would probably be that it is the region on the world map labelled “Maguuma Jungle.” However, what if I told you that there is no such region on the world map of Tyria? Go on, check, I’ll wait. You see, of the two regions this term could potentially apply to, neither is actually labelled “Maguuma Jungle.” One is called Magus Falls, and the other is called Maguuma Wastes. This is a rather crafty trick by ArenaNet, as they have managed to tell us where we will be going without actually telling us where we will be going. Will we be heading to the verdant Magus Falls area, or will we be moving farther into the desolate landscape of the Maguuma Wastes? If the trailers for Heart of Thorns are anything to go by, and they should be, Magus Falls is a pretty safe bet. The trailers for the expansion, particularly the newest one from PAX South, repeatedly show content taking place amidst a very dense jungle environment. If you look at the in-game map of Tyria, you will notice that the area labelled Magus Falls, which roughly encompasses everything west of Rata Sum and Dry Top as well as a snug little section nestled between Rata Sum and Brisban Wildlands, is much more green and vibrant than the Maguuma Wastes to the north. The red borders indicate the Magus Falls region of Tyria. The color scheme here synchs up well with the idea of a very dense, suffocating jungle, much like the Amazon rainforest we see on, you know, Earth. Additionally, ArenaNet has stated that this expansion will take us into the “Heart of Maguuma.” This is another vague phrase that could refer to any location within an immense area. However, if I had to guess where the heart of the Maguuma Jungle actually is, I would definitely go with Magus Falls due to the dark green color of the shaded area, as opposed to the light brown shading of the Wastes. A jungle needs to be green, am I right? Well, not entirely. Take almost the entirety of our in-game experiences with Mordremoth so far, for example. Virtually all of our interactions with his influence have been in the very beige Maguuma Wastes, barring the few times we had to pop over to Ascalon, Kryta and the Shiverpeaks. While I think it is likely that a large portion of the expansion will focus on the transition from wastes to jungle proper, it is important to remember that the Maguuma Wastes are still very much on the table. If we look at this region on the map, we can see that it is actually incredibly large, spanning from the Silverwastes all the way to the shores of Janthir Bay and as far west as the edge of the map. The red borders indicate the Maguuma Wastes region of Tyria. Here, the area directly west of the Silverwastes and Dry Top immediately stands out, as it would be a bit odd to open areas in Magus Falls without continuing west out of the Silverwastes, which would leave us with a weird, lopsided gap on the map (not that we are strangers to those). It is also the perfect opportunity to open more of the Wastes, as the Living World is already focused there, though how far north ArenaNet would be willing to go is debatable. Due to the fact that they have confirmed that the expansion area will not be incredibly large, I would hazard a guess that we will not be going too far north of the Silverwastes. But how much land will all this offer us in terms of playable game space? Well, for the purposes of realism, let’s focus on what is most likely. I believe it is reasonable to assume that we will gain access to the all-too-obvious shaded area wedged between Rata Sum and Brisban Wildlands; the areas west of the Silverwastes and Dry Top; and the area northwest of Rata Sum. The red borders indicate the potential explorable zones mentioned in this article. The only area in the Magus Falls region excluded here is the peninsula directly west of Rata Sum, mainly because this area is technically the Tarnished Coast, though ArenaNet has shown little acknowledgement of this area and has classified all of its zones under the “Maguuma Jungle” achievement category (which does not conflict with statements made in the second paragraph, as then I was referring to map labelling and not achievement classification). If we consider all of the space in question, and we assume that the zones contained in said space will be of similar size to those present at launch (Silverwastes and Dry Top are much smaller), it is likely that this expansion will consist of three to four zones, possibly five if they are smaller or if the peninsula is included. Continuing in this line of reasoning, we can even see vague sections for different potential zones: all the area directly west of the Silverwastes and Dry Top could comprise one zone, the blatant square area north of Rata Sum could be one more, and the dark green area adjacent to both of these could become either one large zone or two small ones. What? That’s it, three to five zones? I could blow through that in a day, no problem! Actually, I wouldn’t be so quick to bet on it. What we need to remember about this expansion is that the jungle is going to consist of three vertically sectioned layers, effectively granting players three times the content of a normal zone in the same amount of space. That’s the plan, anyway. 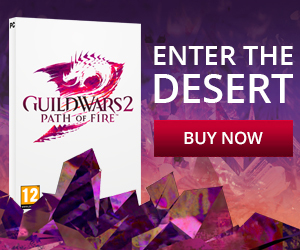 While ArenaNet is an accomplished developer and has done amazing things with Guild Wars 2, it will be interesting to see how they decide to handle this three-layered system for map exploration. Furthermore, it will be highly impressive if they manage to implement it in a way that truly delivers an exponentially greater amount of fun content in such a concentrated space. Based on the information we have received from ArenaNet, there is little doubt that the area covered by the expansion will be smaller than normal. Sure, we could hold out hope for the entirety of the Maguuma Wastes region as well as the entirety of the Magus Falls region, but with the direction the story is going and the “Heart of Maguuma” region the developers keep referring to, there is little reason to press further north, away from the deeper jungle (though shoehorning is entirely possible). What is important to remember is that we simply do not have enough information to make a call right now, which of course is why I just blithered on for 1,200 words about what I think we’re going to get.